Actors earn way too much, it is no secret that they earn zillions of dollars. With increase in viewership the actors are also getting paid heavy. With every new movie which is getting blockbuster, actors are getting richer. They do hard work, they make us laugh, cry and sometimes make us feel special. We always get in a discussion that “who is the Richest Actor in the World”, we talk about many actors from US to UK from Hollywood to Bollywood but not every time we get the perfect answer. But this time you are gonna get a perfect answer, there are mix of actors in richest actor in the world. Some of them are quite famous but some are not. Some of them are comedy actors while some showcase romance on big screen. Some are from Hollywood and some are from Bollywood. The only thing which is common in them is that they make hell lot of money. Adam Sandler is one of the most famous comic actors in Hollywood. He acted in many Hollywood movies. His movies have combined grossed over $2 Billion at box office. He was much appreciated in movies like “Billy Madison, Big Daddy, funny people and many more comedy flicks”. Adam is not just a remarkable actor but also a great producer and director. In 2007 he also developed sitcom TV series “Rules of Engagement”. He also founded his production house which produces many movies in Hollywood. And with all his high grossing movies and production house he is in the list of richest actors. Clint Eastwood is one of the most famous actors globally. He is in Hollywood since 50 years; from older generations to younger ones everyone loves him. He got famous for playing the role of “Man with No Name” n Sergio Leone’s Spaghetti Western Trilogy. During 70’s he was icon of masculinity due t his roles and he also became a cultural icon. Back in days he used to get heavily paid for acing in movies. Later in years he started working behind the camera and made great movies like “million Dollar Baby, Mystic River and American Sniper”. Million Dollar Baby gave him Oscar for Best Director and his latest American Sniper was a super hit on box office. With his movies and image he is keeping his pockets full. May be he is going through controversy these days but back in 80’s his show “The Bill Cosby Show” was a super hit. He was the greatest comedian of that era. The show aired from 1984-1992, it showed the life of African-American Family. Later there was also a spin-off which was produced by Cosby. The Bill Cosby Show has been named as a “Most Successful American Show Ever”. He also won 7 Grammy awards. Bill Cosby is also a standup comedian. After his show got hit, he endorsed with many brands earning him millions of dollars and still keeping him in list of top richest actors in world. Tom Hanks is an American Actor and filmmaker. He is considered as one of the most accomplished actors of all time. His movies like Saving Private Ryan, Forrest Gump, The Green Mile and Captain Phillips show that he is perfectionist. He has also won two Oscar awards for his acting in Philadelphia and Forrest Gump. As per 2014, his movies have earned more than $8 Billion in worldwide collection. He is one of the highest grossing actors in film history. With all his super hits and TV production making huge money he is still in the list. Tom Cruise is a household name in USA. He is one of the most famous actor globally and also a filmmaker, nominated for multiple awards. At the height of his career he was the highest paid actor in the world. His movies like Top Gun and Rain Man gave him success and fame later his produced action thriller “Mission Impossible Series” made billions of dollars which is still keeping Tom filthy rich. Sixteen of his films grossed over $100 million domestically; twenty-two have grossed in excess of $200 million worldwide. He has been nominated for three Academy Awards and has won three Golden Globes. Tyler Perry is an American Actor, produce, director, screenwriter, author and songwriter. In 2011 Forbes named him highest paid man in entertainment. He earned US$130 million between May 2010 and 2011. Perry played role of “Madea” in movie “Madea” which was not only critically acclaimed but also did a great job on box office. Since then what ever he did brought enormous fame and money for Perry. But the main source of money for Tyler Perry was his plays which brought $75 millions, his plays were based on his movie. His 100 episode contracts with TBS for show “House of Payne” gave him more $200 Million. Despite of doing ok on big screen he is in the list of the richest actors. Johnny Depp is an Actor, producer and musician. He is conceded as one of the most talented actor in the industry. During 1980’s he rose to sudden success for his role in 21 Jump Street. Jhonny Depp is knao know for taking extra ordinary roles, from Jack Sparrow in Pirates of Caribbean to Willy Wonka in Charlie and the Chocolate Factory. Pirates of the Caribbean flims have made more than $3 Billion on the box office. For the role in Alice in the Wonderland Depp received $50 Million. Depp is regards as one of the biggest star in the world. He is one the most charging actors in Hollywood. Even for his voice role in “Rango”, Depp reportedly charges $7.5 Million. Johnny Depp has been nominated three times for Oscars and has won the Golden Globe Award for Best Actor. Jack Nicholson is considered as the greatest actor in entire film industry. He is performing in movies for nearly 60 years. He is a versatile actor, from playing romantic roles to psychopathic roles he has done justice with his each role. Jack Nicholson has been nominated 12 times for the Oscar, making him the most nominated male actor in the Academy’s history. He has won three Oscars, one as supporting and other two as lead actor. During his career his paychecks were getting bigger by every movie, in 1989 he took $96 million to play iconic “Joker” role in Batman film. Nicholson is a great actor and he also charges like one. His great style and dialogue delivery is making him earn millions of dollars. For many of you Shahrukh Khan is a not familiar name, well Shahrukh Khan is the most famous and highest paid actor in Bollywood, India. He is also a producer; his company “Red Chili Entertainment” produced many movies in India. He is also known as “Baadshah of Bollywood”, “King of Bollywood” or “King Khan”. In terms of audience and income, he is one of the most successful stars in the world. Started as a small time TV actor but gradually climbed his way to the Top. He has done movies like Darr, Baazigar, Swadesh and Chak De India which were highly acclaimed by critics and his movies like Chennai Express, Happy New Year and Dilwale has earned huge amount of money. His movie DDLJ was in theater for more than a decade. With large number of endorsement and produced movies, SRK is one of the most successful actor-business men. Jerome Allen aka Jerry Seinfeld is an American actor, comedian, writer and producer. During 1989-1998 he played a semi fictional character of himself in sitcom Seinfeld and the TV series was super hit. After two seasons of success, Jerry himself started producing the series. 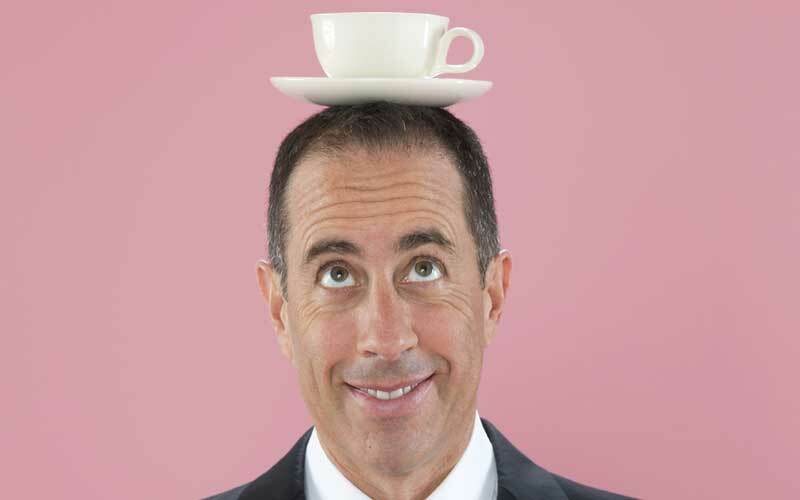 Seinfeld has earned more than $100 million from syndication deals and stand-up appearance. In 2008 he was featured in a Microsoft Windows ad, and for that he charged $10 Million. Despite of not acting from last few years he is still on the Top of Richest Actor in the World.